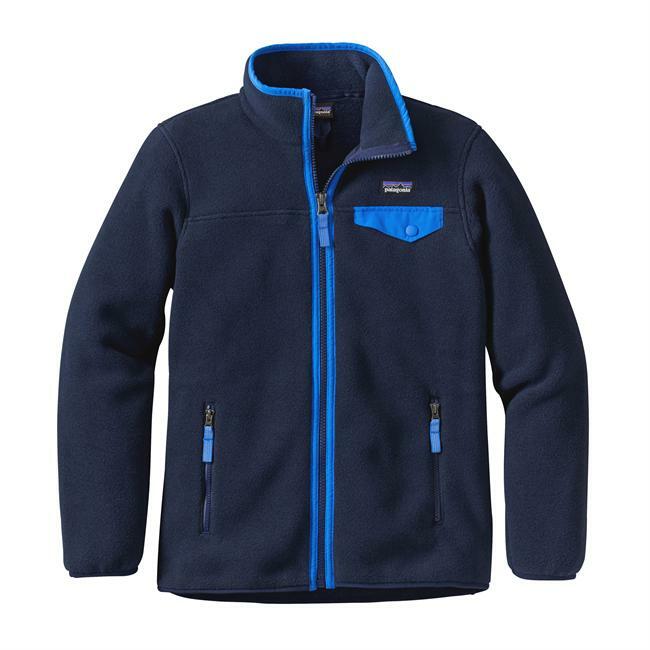 Visit Patagonia's Pelage Jacket page. 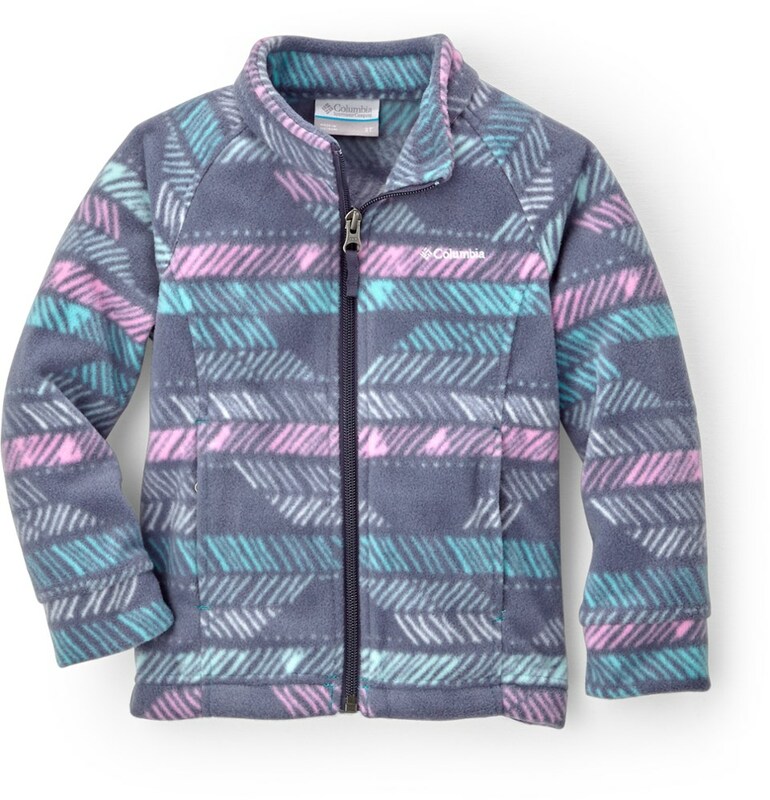 For plush warmth and super cute styling, the Girl's Pelage Jacket from Patagonia piles it on - literally. Thick and abundantly textured, the soft 100% polyester curly, deep-pile fleece is lined with 100% polyester plain weave for slip-into ease. The 60-g Thermogreen 100% polyester (90% recycled) insulation compresses for easy packing and emerges to create a haven of warmth. With a high, fleece-lined collar for extra warmth, stylish asymmetrical button closure, deep handwarmer pockets, and a hand-me-down ID label inside. 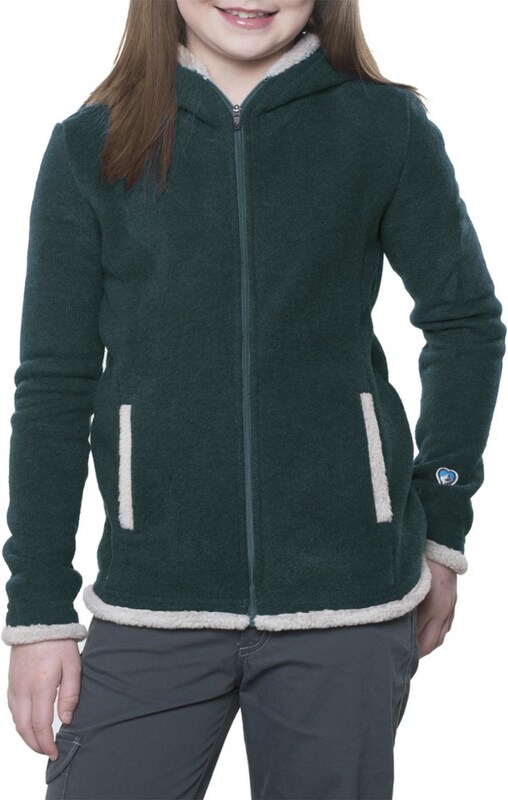 Young ladies can have fashion sense too, and with the Patagonia Girls' Pelage Fleece Jacket, they'll be stylish all winter long. A center front fabric overlap with two-button top closure keeps things classy. The Pelage isn't just stylish; it's super-comfortable, with silky high-pile fleece and a plush shawl collar. On-seam hand pockets keep her fingers toasty as you stroll with her down the snowy street to her first sophisticated restaurant experience. This silky high-pile fleece got softer this season in the Girls' Pelage Jacket; with a plush shawl collar and two on-seam handwarmer pockets. As fluffy covering goes, it doesn't get any fluffier than this. 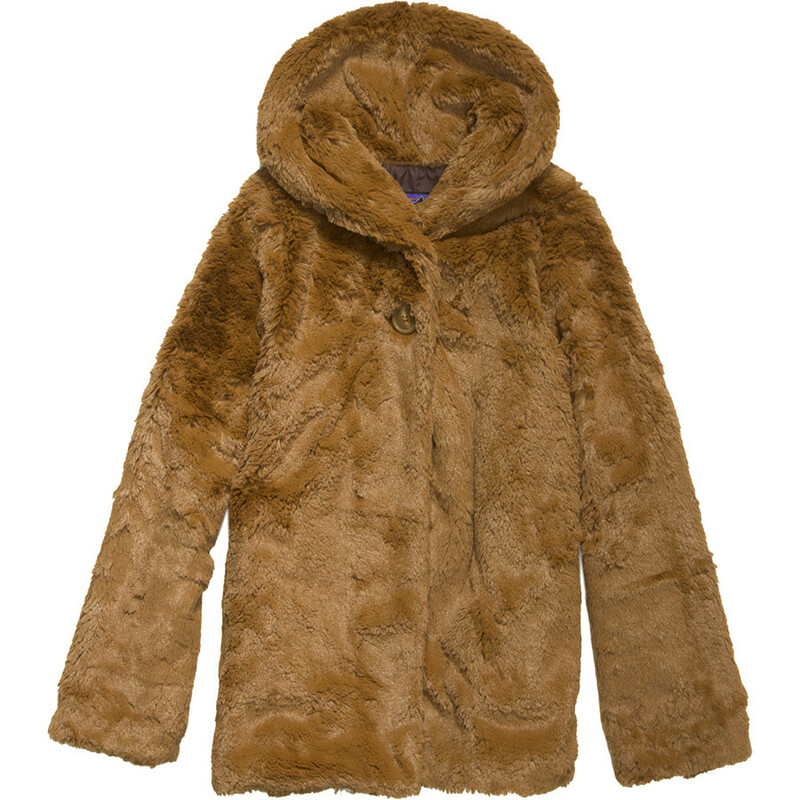 A haven of thick and abundant texture, the Girls' Pelage is made of warm, silky 100% polyester high-pile fleece that floats meringue-like on the skin. The jacket's polyester plain-weave lining is warm and glides on easily. Fleece-lined shawl collar for extra warmth, and the coat's stylish silhouette has front fabric overlaps and a two-button closure at top. Two on-seam handwarmer pockets and hand-me-down ID label. 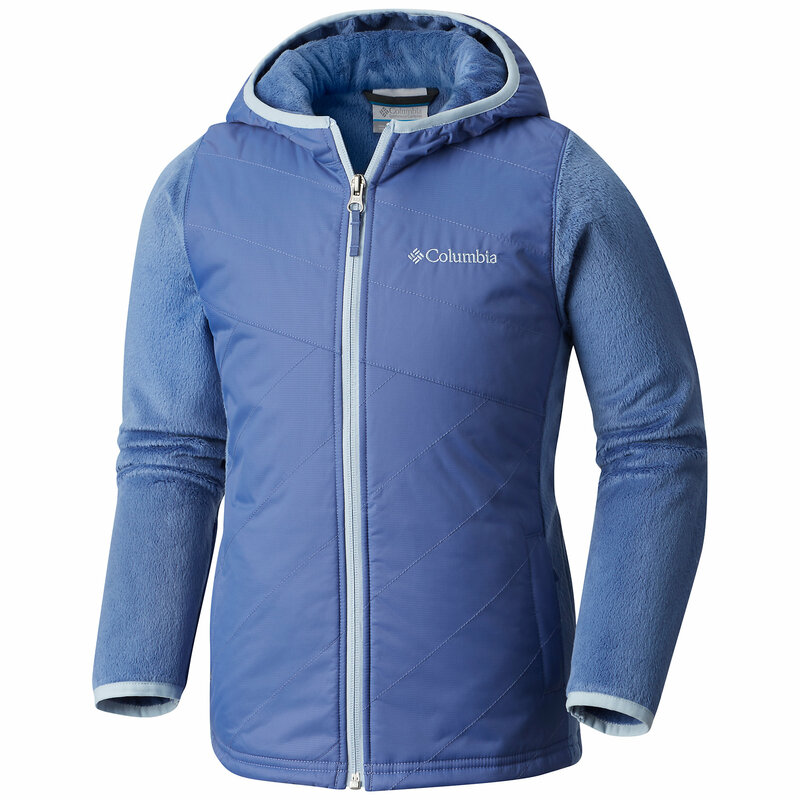 Patagonia Girls Pelage Fleece Jacket - Closeout - This silky high-pile fleece got softer this season in the Girls' Pelage Jacket; with a plush shawl collar and two on-seam handwarmer pockets. As fluffy covering goes, it doesn't get any fluffier than this. 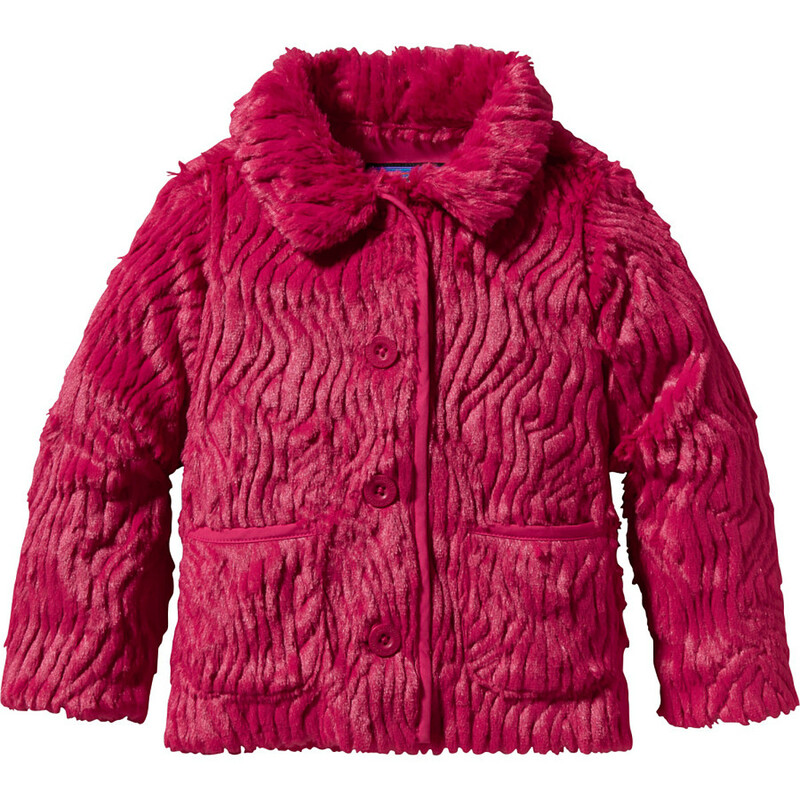 A haven of thick and abundant texture, the Girls' Pelage is made of warm, silky 100% polyester high-pile fleece that floats meringue-like on the skin. The jacket's polyester plain-weave lining is warm and glides on easily. Fleece-lined shawl collar for extra warmth, and the coat's stylish silhouette has front fabric overlaps and a two-button closure at top. Two on-seam handwarmer pockets and hand-me-down ID label. Below hip length. Warm, silky high-pile fleece with polyester lining in a stylish silhouette Fleece-lined shawl collar for extra warmth Center-front fabric overlaps with two button closure at top Two on-seam handwarmer pockets Below hip length Hand-me-down ID label 12.4-oz 100% polyester silky high-pile fleece. Lining: 2.4-oz 100% polyester plain weave 759 g (26.8 oz) Made in Thailand. 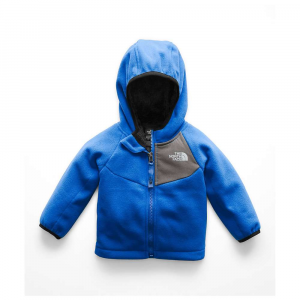 The Patagonia Girls' Pelage Jacket is not available from the stores we monitor. It was last seen January 9, 2018	at Backcountry.com.